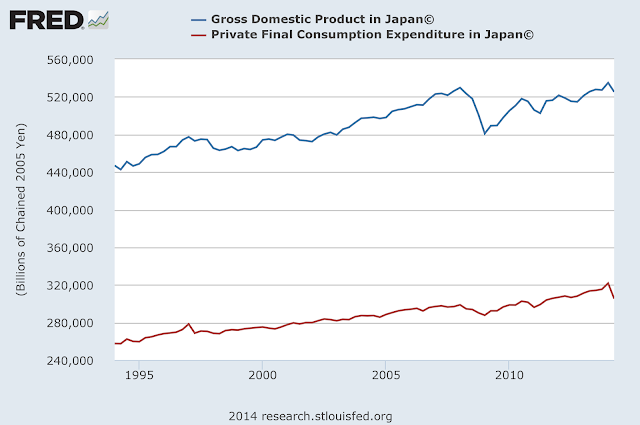 Stephen Williamson: New Monetarist Economics: What's More Scary, Ebola or Deflation? Very interesting. Thanks for enlighten me. I think every single different view on whether or not there is an expansionary effect from Q.E. and how much it is if existing converges to the well-known liquidity trap problem. The Keynes' idea is sort of fundamental things that can cover a large-scale issue. The intuition is beautiful. "So what causes low inflation over long periods of time, and raises the possibility of deflation? 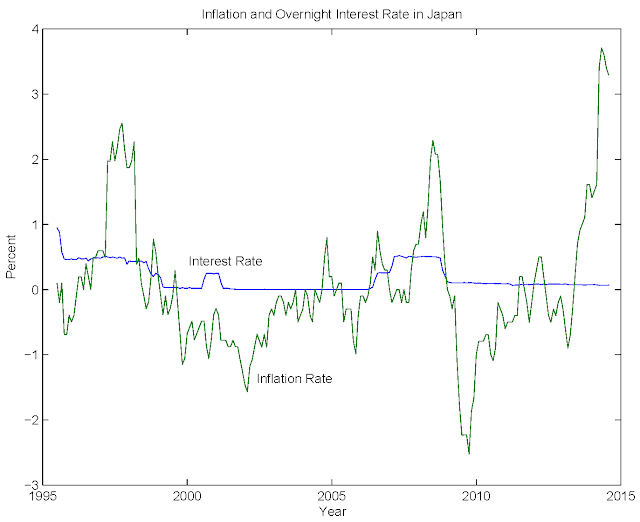 Low short-term nominal interest rates over long periods of time." Why the emphasis on longer periods of time? 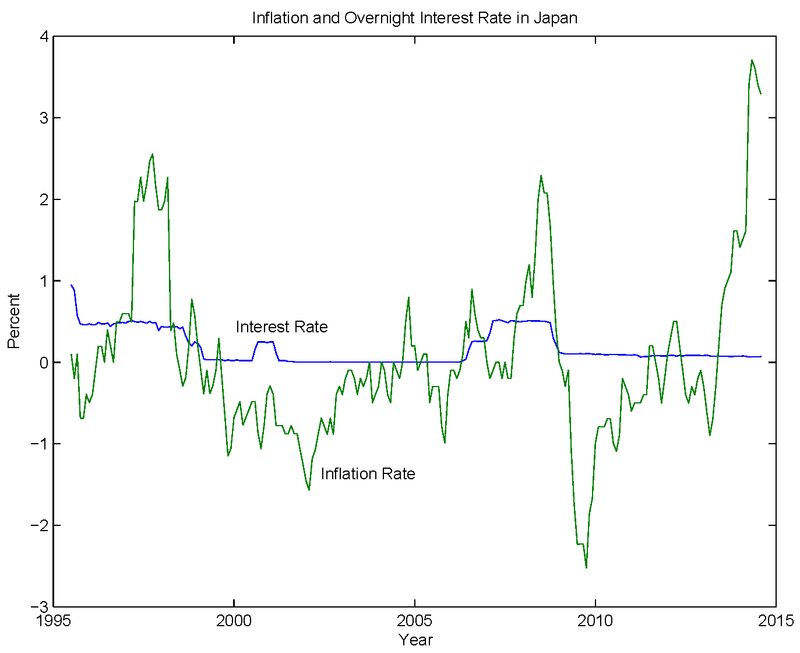 Why doesn't a low short-term nominal interest rate raise the possibility of deflation over a short period of time? That would be an empirical question. 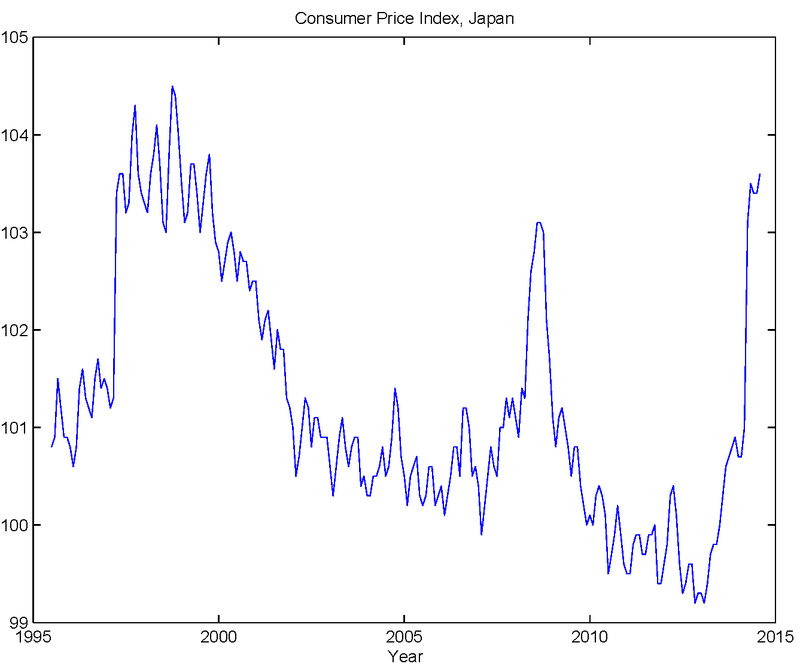 When do short-run liquidity effects of monetary policy fade out, and Fisher effects take over? Probably within a few quarters, but it's not something I would stake my life on. The notion that low nominal rates have to lead to low real rates rests on the assumption that monetary policy only influences nominal rates. 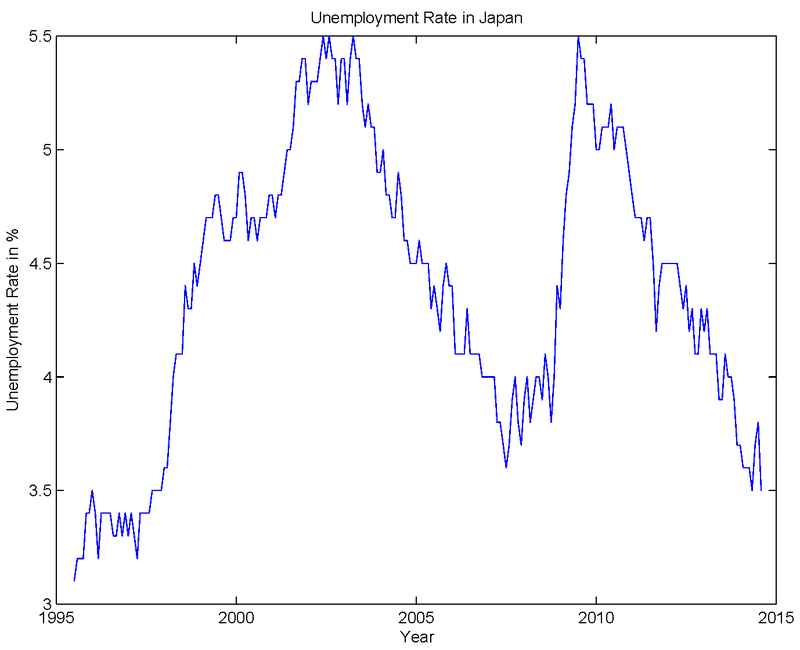 This assumption is obviously wrong, monetary policy also influences real rates. Of course you will point out that there is some positive correlation between nominal rates and inflation Sure, but you just did OLS and the result is hardly surprising as real rates are not (practically) unbounded. Estimate a simple AR and you will get negative parameters. Not that the notion that easy monetary policy / cheap liquidity leads to rising and not falling inflation needs any more proof than that the apple does not fly to the sky but falls on your head. People experience random shocks to their health that affect their productivity, and particular skills become more or less valuable in the market as technology changes and demand shifts among goods and services. So, if everyone were paid their marginal products, this would in general require downward nominal wage adjustments for some workers in the face of generalized deflation. But there are ways to get around a constraint on reducing the nominal wage rate for a given worker in a given job. It may be possible to adjust the worker's assigned tasks - i.e. change the job instead of the wage. In theory, yes, in the real world, no. If a nonnegativity constraint on nominal wage changes were serious business, I think labor economists would be paying more attention to it. 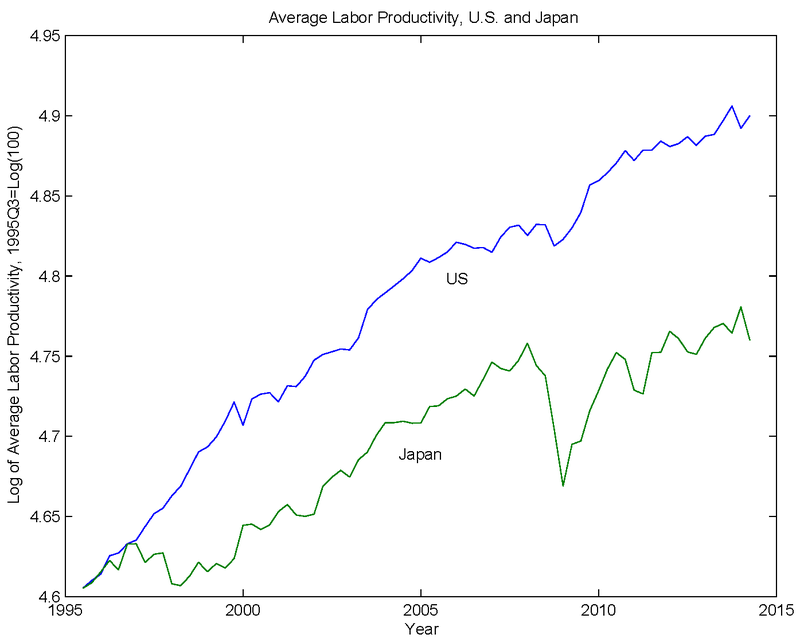 I guess these labour economists have not read "Why Wages Don't Fall During a Recessions". Sure, it is basically just an interview book (and of course wages did fall quite a a bit in the GD) but sometimes it does not hurt to get out of the ivory tower and check how people who are actually in charge of hiring and firing think about these issues. I think that the effects of deflation (or low inflation) upon financial markets, namely making deleveraging more difficult, are far more serious during a balance sheer recessions than the negative effects upon labour markets. But the latter nonetheless exist. Exactly how was it that the US was able to come back from the Great Depression with prices rising fairly early on after the nadir in '33? 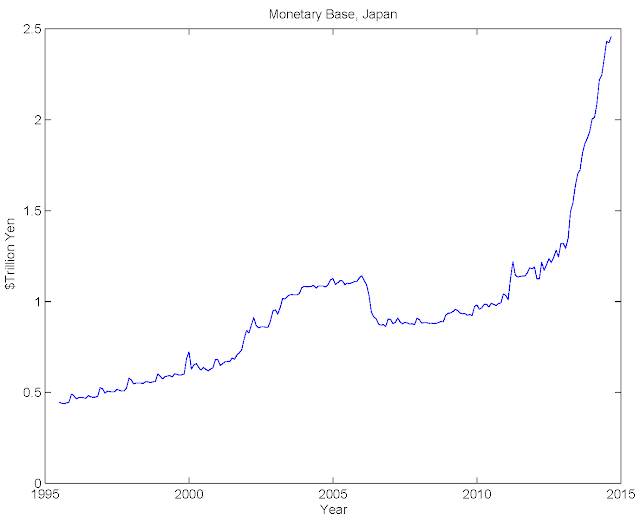 Money supply had fallen by 1/3 and yet within seven years prices had recovered and the economy was back on track. And it wasn't the war. If you look at real gdp growth it's almost constant from '33 on, regardless of war spending. 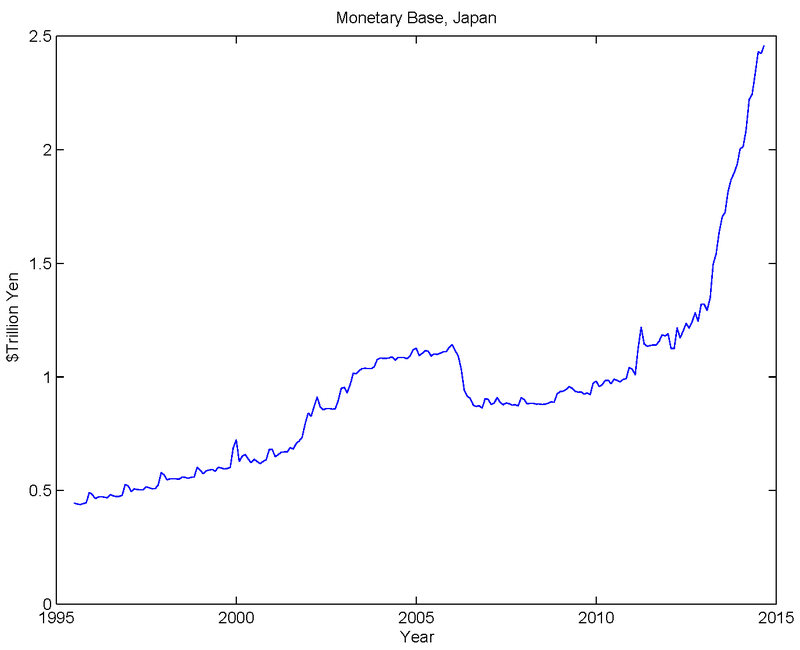 Do you recommend raising interest rates in light of Benhabib's argument? "But having a stable inflation rate is welfare-improving, as this minimizes the unanticipated redistributions between creditors and debtors that occur with unexpected changes in the inflation rate, as discussed above." In normal times, yes. 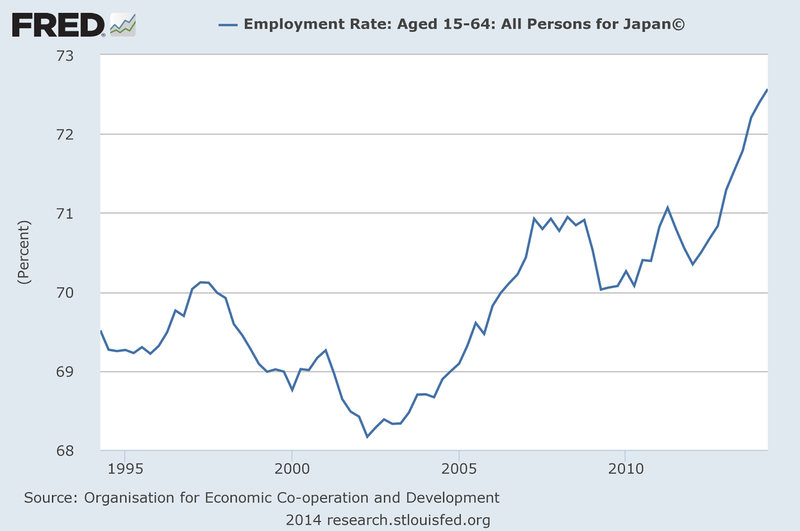 But in a balance sheet recession unanticipated inflation is welfare improving as it eases deleveraging which will improve GDP and employment. Unless you use a funky welfare measure that weighs the wellbeing of creditors far higher than that of anybody else. I told you to be quiet, John. Has Japan's rate of inflation been that much more volatile than the inflation rates of other rich OECD countries? And if so by how much? 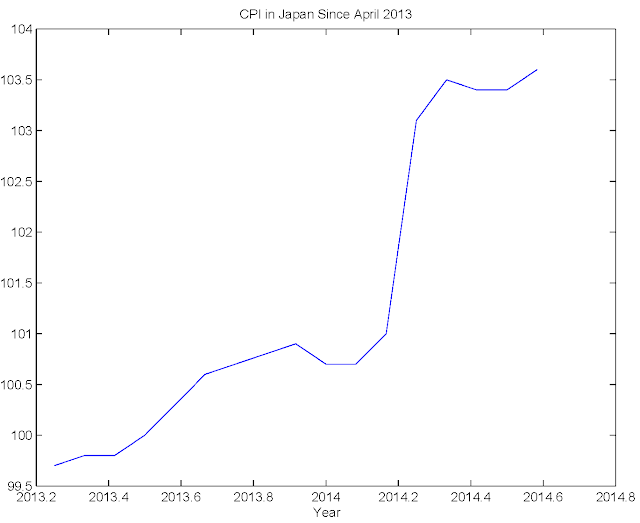 Assuming that Japan's inflation rate has indeed been more volatile, would not some of volatility be explained by Japan's dependence on imported commodities especially oil and metals? For the moment, I see little or no substantive theory or empirical evidence to suggest that western central banks should not lower their inflation targets to zero or near zero. People following cash in a shoe box under the bed savings strategies would benefit. The return would be less negative.